A new Line Friends pop-up shop has opened for business in Hollywood. The new arrival is located at 6922 Hollywood Blvd., Suite 101, across the street from the Hollywood & Highland Center. According to its Yelp page, Line Friends is a global brand that "features 11 characters based on stickers from the messaging app called LINE." The company has also recently introduced BT21 -- a new intellectual property featuring eight additional characters. 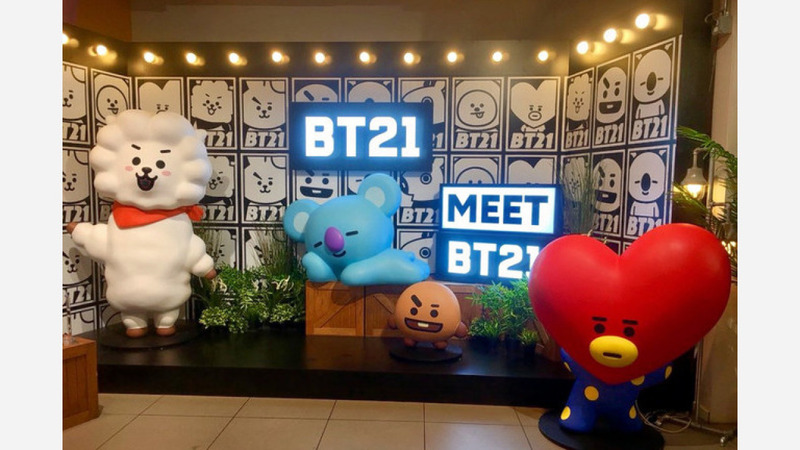 Inside the new pop-up shop -- which will run for approximately three months -- expect to find a variety of collectibles, memorabilia, plushes, accessories and more based on Line Friend and BT21 characters. Cute photo-ops are also available for all your Instagramming needs. The new shop has proved popular with more than 15,000 people visiting the store on opening day, Billboard reports. Line Friends has received an enthusiastic response thus far, with a five-star rating out of six reviews on Yelp. Heather L., who reviewed the new spot on July 28, wrote, "The store was so much bigger than I expected, and right as you walk in, you're greeted with BTS (literally). I walked in during the chorus of 'Magic Shop' and literally everybody was having fun and partying it up inside!" "Great spot for Line's new location!" added Yelper Stephie L. "It's beautiful and very clean with a big spot for all the merch! It was also a great place to debut BT21's items in LA!" Interested? Stop by to welcome the new business to the neighborhood. The Line Friends pop-up store is open until September from 10 a.m.-10 p.m. daily.